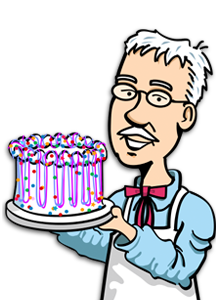 Sign up today and save on your next Uncle Harry's Ice Cream Cake. As an Uncle Harry's family member, you receive savings on Uncle Harry's desserts throughout the year along with chances to win prizes! How Would You Like To Receive Updates? Cell phone number required to receive text alerts. Your number will be used only for the purpose of sending Uncle Harry's® text alerts. Receive Birthday Coupons For You & Your Family!